Phineas and Ferb get 100 days of Summer Vacation. We got 77 days of Summer Vacation. I’m okay with that because my kids never know “what they are going to do today! !”, I don’t have a Candace to help watch my kids, and we are all pretty much ready to spend time with anyone that is not related to us. 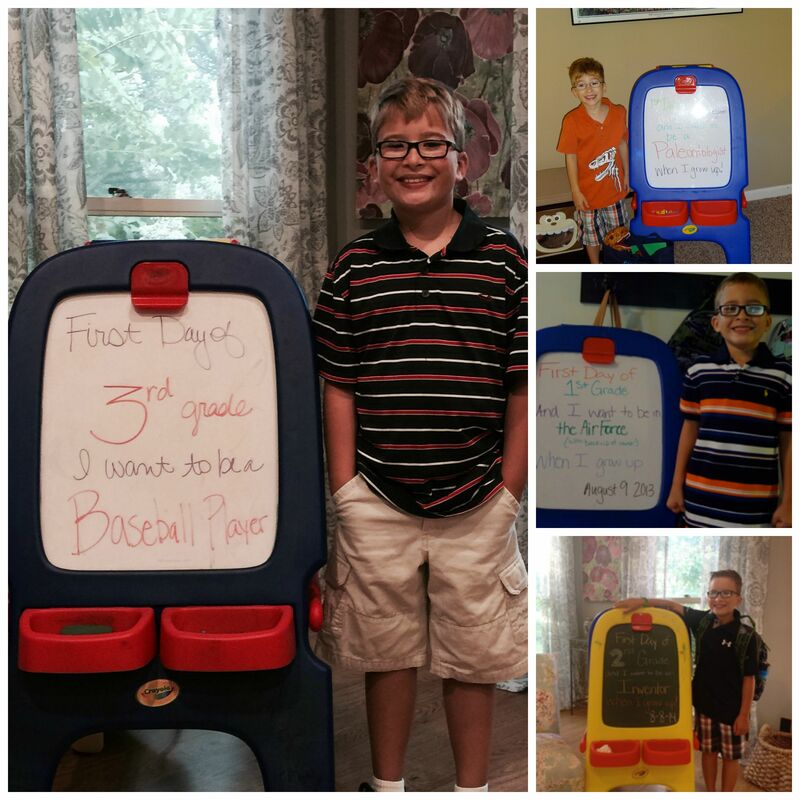 A few years ago I saw something on Pinterest that I actually did (as opposed to pinning and forgetting 😉 ) I started taking pictures of the kids on the first day of school with a chalkboard that had the grade and what they wanted to be when they grow up. I have loved seeing how much they have grown up and how their dreams have changed. My oldest – Ethan. 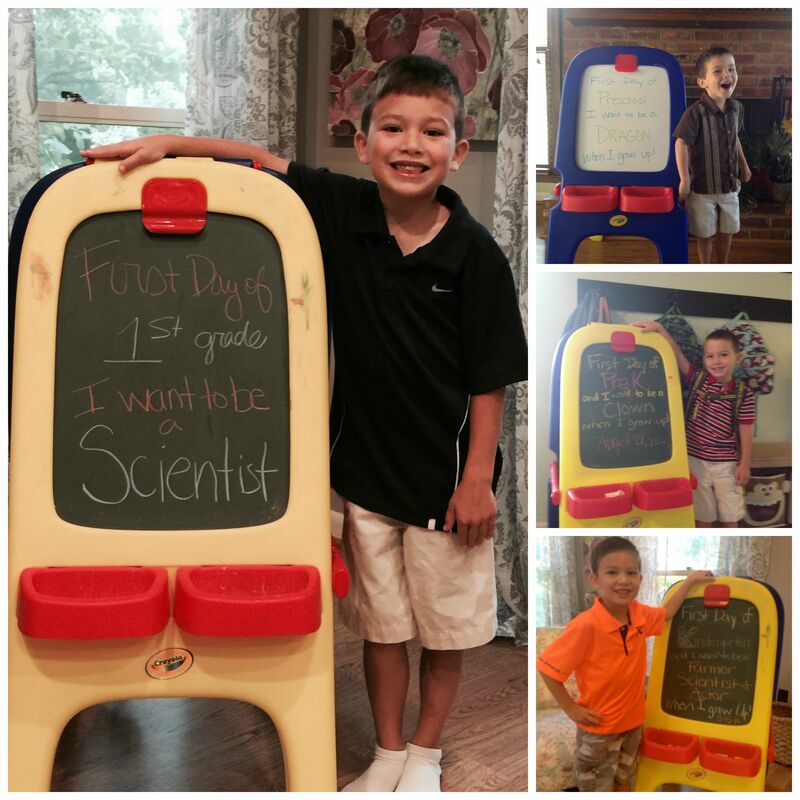 In Kindergarten, he wanted to be a Paleontologist. In 1st Grade, he wanted to be in the Air Force (with back up of course!). In 2nd grade, he wanted to be an Inventor (flying car is his top priority!) And this year in 3rd grade, he wants to be a baseball player. (When he retires, naturally, he will be an accountant like most MLB players) Ella was very practical in Kindergarten and wanted to be a Princess when she grew up. 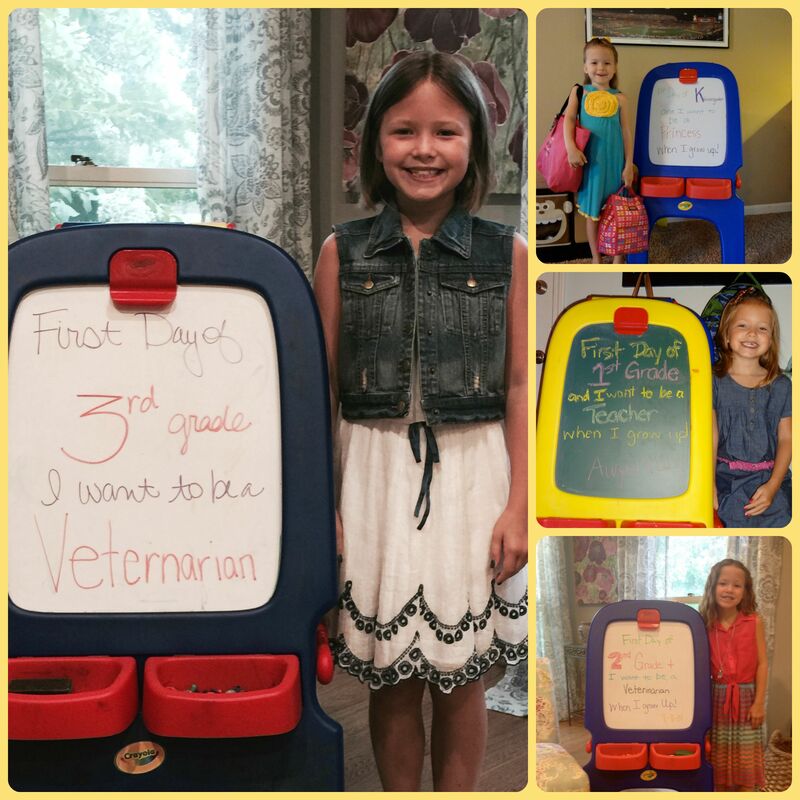 In 1st grade, she decided she wanted to be a teacher (my bet is on this one in the long run!) The last two years, she has been consistent about wanting to be a Vet (sorry cat lovers. Dr. Ella will work strictly with dogs!) Matthew used his ever present imagination in his preschool class when he said he wanted to be a Dragon when he grew up. In Pre – K, he decided he could just be a clown because “he was already silly and wouldn’t even have to go to school for it.” In Kindergarten, he decided he was going to be a triple threat – – a Farmer, Scientist and Actor. This year in 1st grade, he narrowed it down to focusing on Science 🙂 What about y’all? 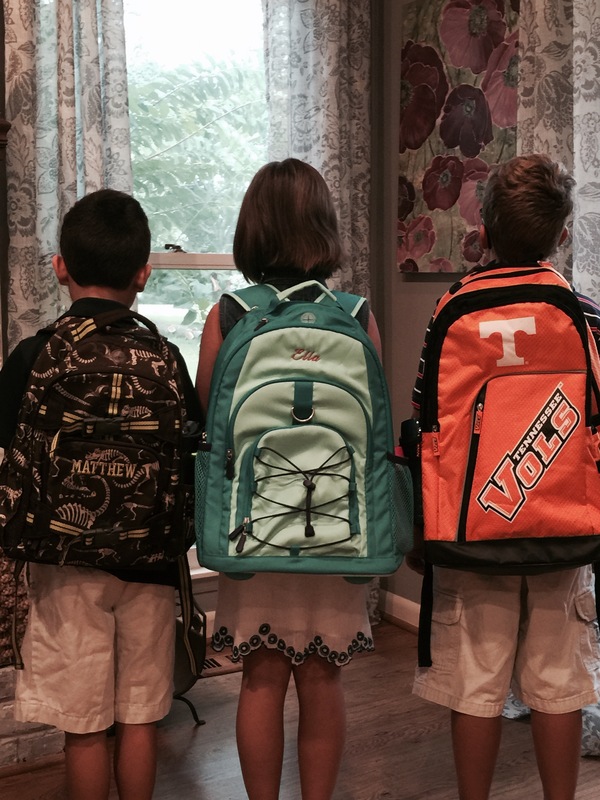 What first day traditions do you have?